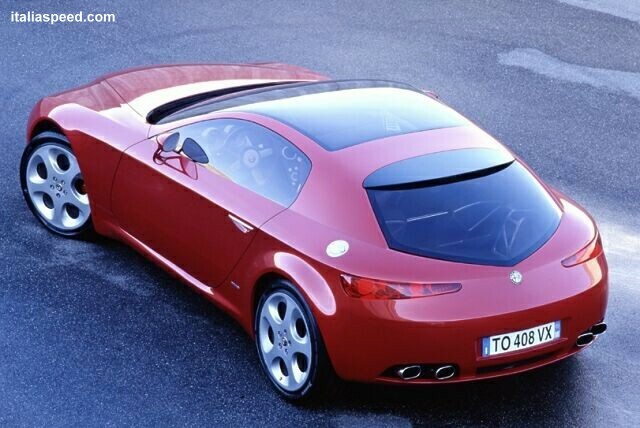 The striking new Italdesign "Brera" made its public debut at the March 2002 Geneva Motor Show. 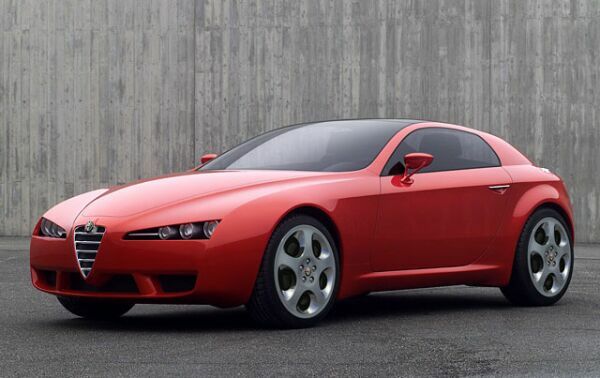 Designed to impact on Alfa Romeo's current plans for a large GT-style coupe, the Brera is however unlikely to form the basis of a production model as all the forthcoming projects are believed to have progressed beyond the planning stage. 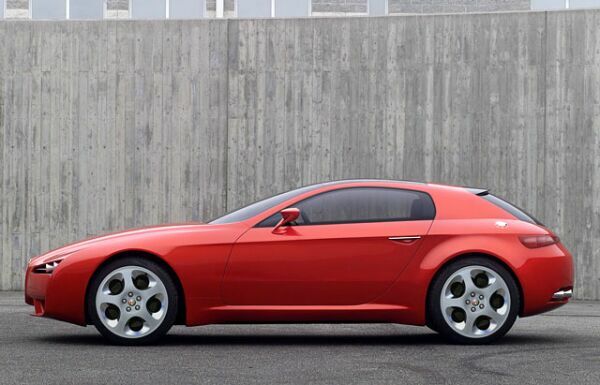 The Brera is based around Maserati-sourced mechanical components including the 4.2-litre 90-degree V8 Maserati engine that Ferrari are currently developing for Alfa Romeo to use in future performance models. A carbon-fibre monocoque utilising aluminium bonded with the latest manufacturing techniques, it features integrated front bumpers and a long bonnet which allows the engine to be set further back in classic GT-style. Laid out as a 2+2, the back seats are only really suitable for children, the cabin is finished in highest quality red leather. The car swoops up from the nose, flowing back to drop off at the rear, its 4.38m length, 1.89m width and 1.29m putting it in the larger GT category. 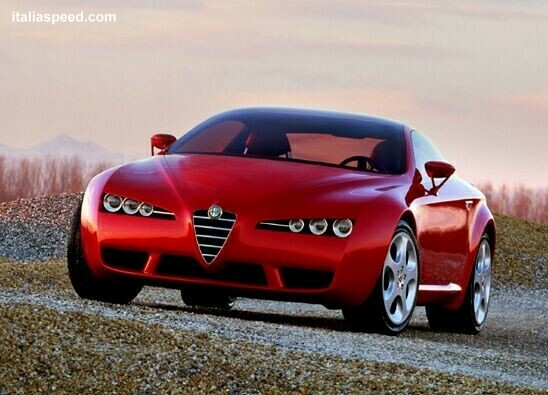 The bonnet aperture slots in between the swage lines which flow outwards from the front grille heart in current Alfa mould. 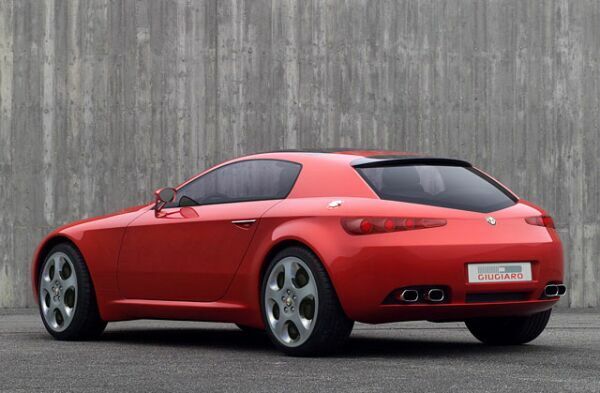 The rear of the Brera draws heavily from current Alfa 147/156 styling cues, while the rear window draws from the classic Giulietta Sprint. The doors represent the only departure from conventional methods. 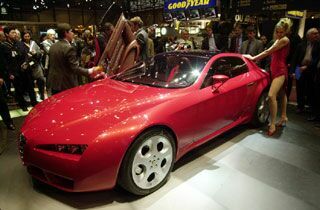 Fitted with fixed aperture glass, they open scissor-fashion using a production ready Italdesign patented technique which involved a rotary knob and keeps them almost flush with the car's body. There is no conventional boot lid, instead the storage area is accessed by raising the rear window and high level spoiler ( which incorporates the stop light ). A pointer to the car's power are the two grab handles available for the passenger, one located on the central tunnel, the other on the door frame. 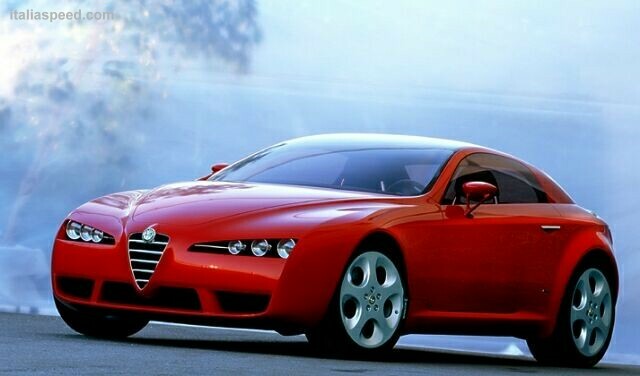 See the Italdesign Alfa Romeo-badged Brera making its public debut at the 72nd Geneva Motorshow in March 2002. 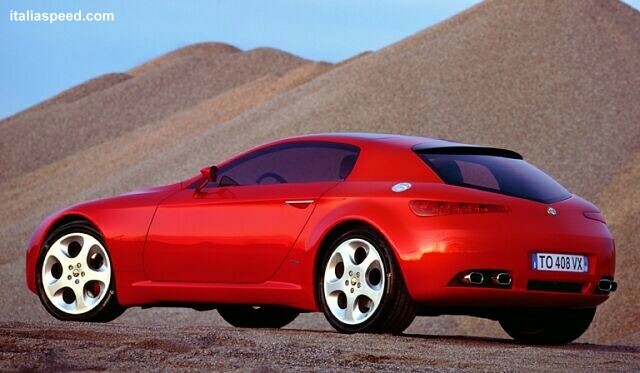 With its stunning looks, the Maserati Coupe-based GT concept quickly turned into one of the stars of the show.